Tina Geraci and her husband have 3 children, a retired New York Police Department (NYPD) K9 named Chief and an active duty NYPD K9. 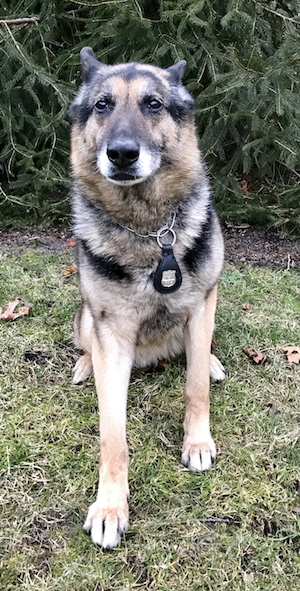 Before retiring after serving 8 years with the NYPD Chief was one of the first K-9 units after 9/11 to patrol the New York City subway system. While active he was awarded national citations for patrol work and was involved in counter terror operations. Chief held national and regional certifications. The family currently has an active duty K9 that is due to retire in three years. Being the “mother” of a retired law enforcement dog Tina saw firsthand the many issues owners of these dogs faced when they retired; the high cost of veterinary care, being turned away from housing options because of “No Dogs Allowed” policies, the high cost of kenneling their dog when they went on their yearly vacation, and the expense of purchasing dog food for a large dog. Tina also heard many stories of these retired dogs being put in shelters and suffering because their owners couldn’t afford to care for them. That’s why Tina started the Retired Police Canine Foundation (RPCF). Her goal was to raise awareness about the tremendous service these dogs provide in homeland security , community police work, and border patrol – and to relieve the financial burden of those who adopt these dogs when they retire by assisting with vet bills, securing housing, and assisting with other expenses. Donate now to help support the important work of RPCF.